Tucson Daily Photo ~: Happy Hallo-WOOF! This photo never fails to make me smile! What a happy pack of hounds making the rounds asking for treats. Adorable! 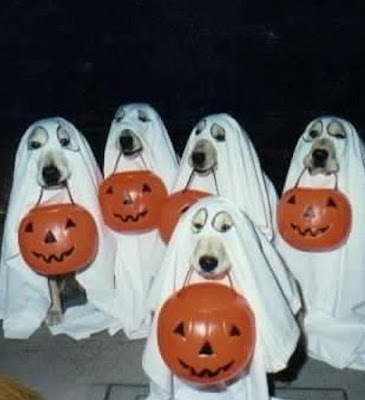 Have a safe and Happy Halloween all you kids, adults, cats, and canines!